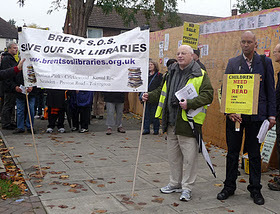 One year on, Brent SOS Libraries campaign marked the closure of our libraries with a torch relay between all 7 libraries, stopping at Barham Community Library, before winding its way to the newly inaugurated Preston Community Library where a marathon read of Alice in Wonderland was held. A vigil was held at Preston Library itself before we moved onto a party at the Windermere. Phew! Congratulations to Brent council’s “team of the year”. 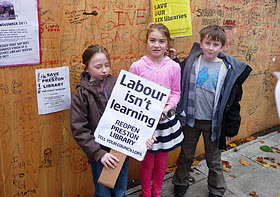 Yes, it’s the Library Transformation Team, whose successful 2011 has seen the closure of six of the London borough’s 12 libraries in the face of community outrage. For those who missed last week’s carols – you can now sing the special ones around your tree at home. We have shown incredible spirit this year and we intend to continue into the new year. 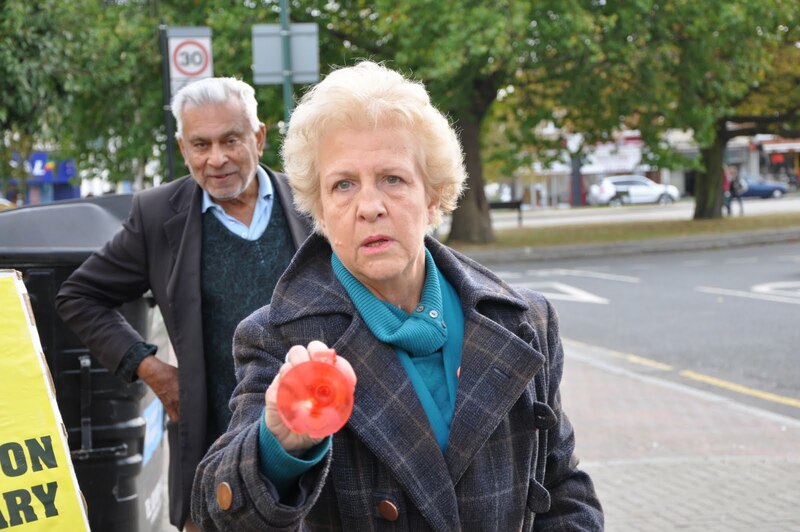 More than 10,000 people across Brent have signed a petition opposing Library closures. Preston alone had 6,000. Every signature is a voice that is being ignored by the council. That is 10 times the 1134 respondents to the consultation, 82% of whom also REJECTED closure.